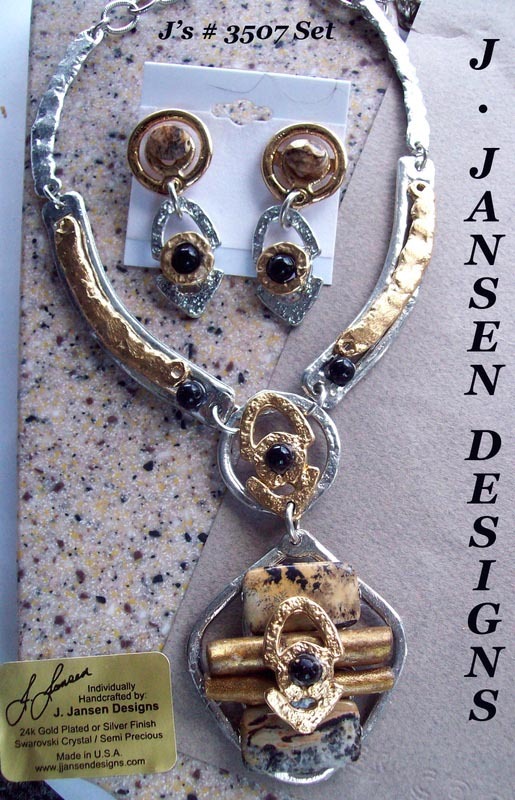 Bold Collectible Designer Jasper Earrings with Black Onyx. Approx. 2" long. Handcrafted Collectible Earrings. - Earring. Tags: Black, Coral, Gold, Jasper, Onyx, Silver.